Please remember to notify the Town of your new address! 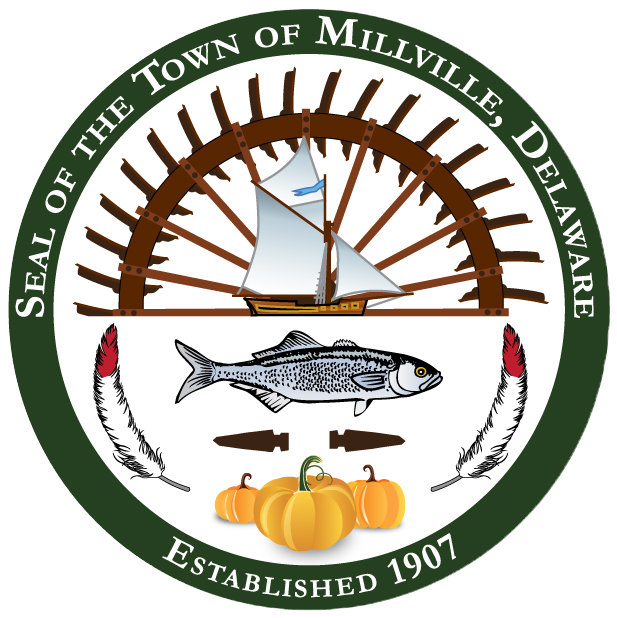 Since the Town of Millville does not have a police department nor an animal control office, if you wish to report a dog “at large” (i.e., any dog that is unrestrained and (1) on property open to the public; or (2) on private property not owned by the owner of the dog, unless a property owner has given permission for such presence), please contact the Delaware Office of Animal Welfare’s Delaware Animal Services (DAS), by either calling 302-255-4646, or by filling out an online violation complaint form found here. Injured birds: If you spot an injured bird, call Tri-State at 302-737-9543 or the Delaware Division of Fish & Wildlife at 302-739-9912. When contacting Tri-State, please have patience while waiting for someone to respond as Tri-State rescuers rely on volunteers. If a volunteer is not immediately available to respond, keep an eye on the bird. If able and comfortable, contain or capture the bird with guidance over the phone from Tri-State experts. For more tips on responding to injured wild birds, go to tristatebird.org/foundinjuredbird. To report someone trying to injure wildlife, call 800-292-3030. Road Kill Removal: If you wish to report road kill (i.e., dead deer, dead dog, etc.) for removal from a road, DelDOT has a crew to perform this duty. You may reach them at 302-659-4600. All dogs, 6 months of age or older on or before March 1 of the year in which an application is made, must be licensed within the county in which they reside. Licenses are valid for the calendar year in which they are purchased and must be obtained by March 1. Payment for your license is due within 30 days of the license expiration date, or within 30 days of acquiring a dog over the age of 6 months in the State of Delaware. A late fee will be added to each license purchased more than 30 days after the license expiration date, or more than 30 days after acquiring a dog over the age of 6 months in the State of Delaware. License fees are $10.00 for spayed/neutered dogs for 1 year, $15.00 for unsterilized dogs for 1 year. Seeing eye, lead or guide dogs or dogs that have previously served in a branch of the United States armed forces must be licensed but are exempt from the licensing fee. Current rabies vaccinations are required for licensing. The expiration date for the rabies vaccination must occur after March 1 of the year for which the the dog license is valid. One, two or three year licenses may be purchased, dependent upon the expiration date of the rabies vaccination. If a dog license is not obtained on or before March 1, a fine of $50.00 is possible. Subsequent offenses within 12 months of a prior offense could result in fines of $100.00. Lost tags require purchase of a new license. For questions regarding licensing, call 1-877-730-6347 or visit the State of Delaware’s Pet Data website at www.petdata.com/for-pet-owners/dlw. In order to help keep Millville — and surrounding areas — clean and picked up of trash, Sussex County has partnered with Delaware’s Department of Correction (DOC) and Department of Transportation (DelDOT) in a unique agreement to tackle the roadside litter and illegal dumping issues that face our community. Using County funds along with manpower and logistical support from the prison system and transportation agency, state and local governments are working together to ensure Sussex County remains a beautiful, natural, and inviting landscape for residents and visitors alike. If you see widespread roadside litter or dumping problems anywhere in Sussex County, please let us know by filling out the form found by clicking here. Or, contact the Sussex County Constable’s Office directly at (302) 855-7819. We thank you for your help in keeping Millville clean and a beautiful way of life! You can check on local storm shelter locations by calling the American Red Cross at (302) 856-2993 or the Sussex County Emergency Operation Center (EOC) storm line at (302) 856-7366. Please check back occasionally for more on this subject. If you have any questions or concerns please contact us here at the Town of Millville.